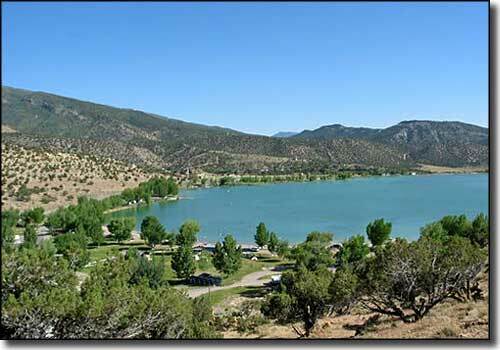 Palisade State Park is centered around Palisade Reservoir and offers fishing, electric and non-motorized boating, RV and tent camping, direct access to OHV trails and an 18-hole desert canyon golf course. This was a resort dreamed up in the 1860's by Daniel B. Funk, an early settler in the Sanpete Valley. He bargained with the Sanpitch Indians who owned the land and then got a government land patent on it. Then he and his family built the dam and diverted part of Sixmile Creek to fill the lake. Shortly thereafter this was a well known Utah pleasure resort and came to be named Palisade. These days it's Palisade State Park. Palisade State Park is open 365 days a year. Summer hours are 8 AM to 10 PM, winter hours are 8 AM to 5 PM. 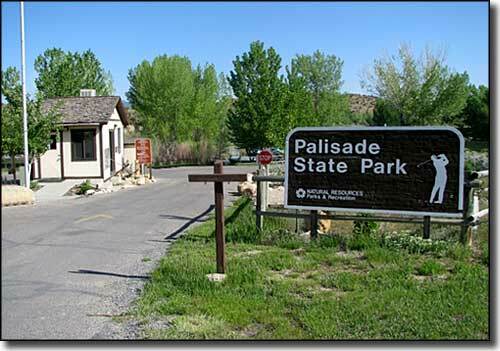 Day use costs $6 or you can but a $75 annual Utah State Parks pass from the Palisade State Park Office. The full-hookup sites at Sanpitch Campground cost $25 per night. All the other sites at Sanpitch, Arapeen and Pioneer Campgrounds run $16 per night. The Group Campsites run a $75 minimum and the Group Day-Use areas run a $50 minimum. The golf course is rated one of the best in Utah and has a PGA professional on staff who provides a full range of instructional services. The newly remodeled pro shop also offers a full range of supplies. Sterling is south of Manti on US 89. 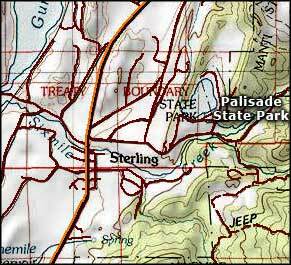 Palisade State Park is 2 miles east of Sterling on Palisade Road.